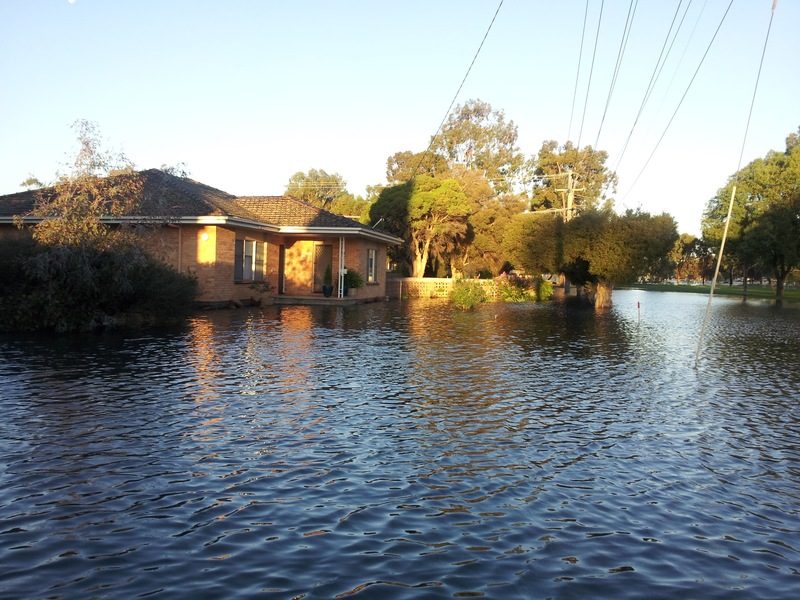 Saturday 3rd March it was raining seriously and word was that the Broken Creek would flood. 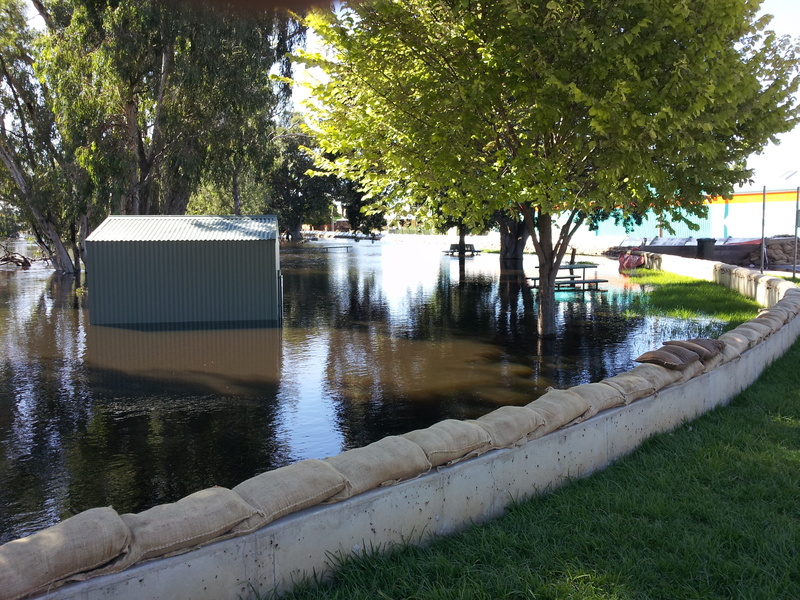 So sandbagging commenced and during the day work commenced on preparing St George’s Church and Rectory. Midnight Saturday the Creek was ominously high and by Sunday morning water started to rise. The Communion Service at St Paul’s Wakiti Creek was cancelled as roads were impassable, but the Rector was able to get to Nathalia to conduct the 9am Holy Eucharist. 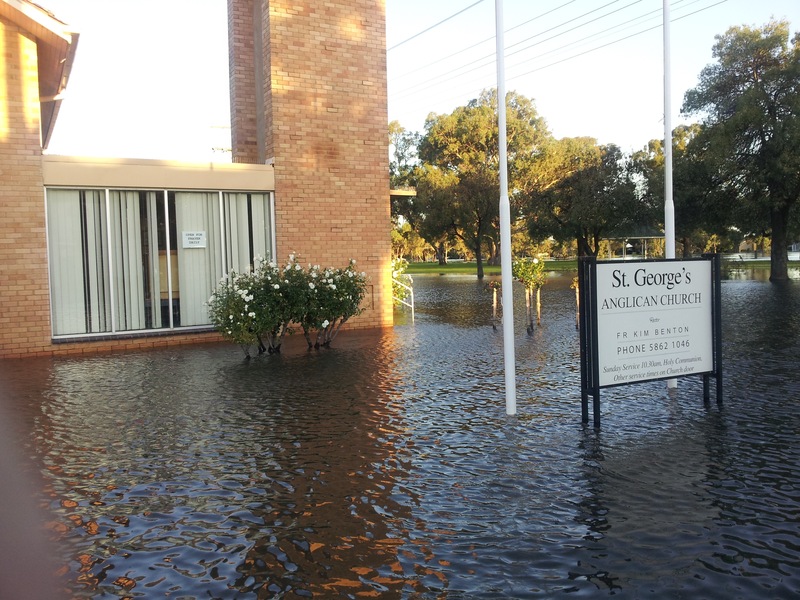 By mid-morning Sunday it was obvious the water was rising very fast in Numurkah and the 10.30am Service at St George’s was cancelled. The rest of the morning and well into the afternoon further sandbagging of the Parish Centre, the Rectory and St George’s went apace. People seemed to come off the street and pianos were moved, tables and books and furniture raised and office equipment made safe. 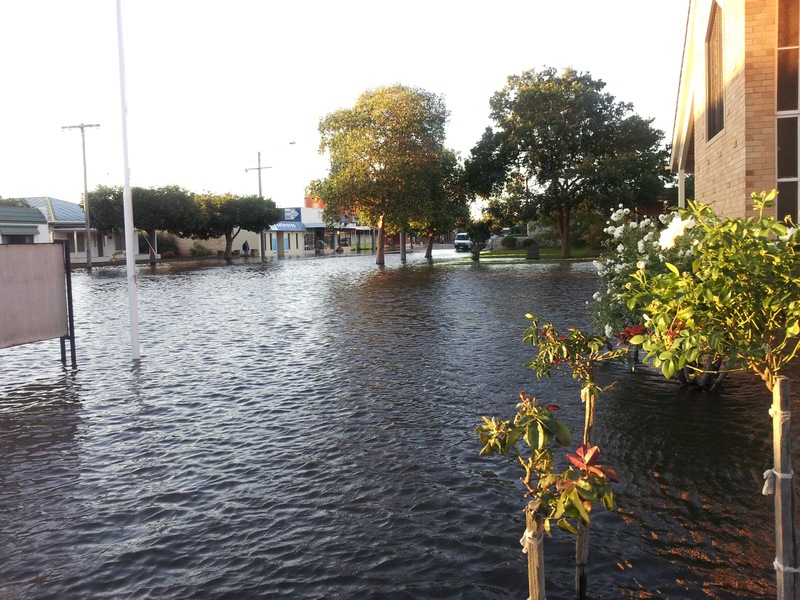 At 5.30pm Sunday 4th March after the town meeting the St George’s Parish Council members met and implemented the Disaster Plan. 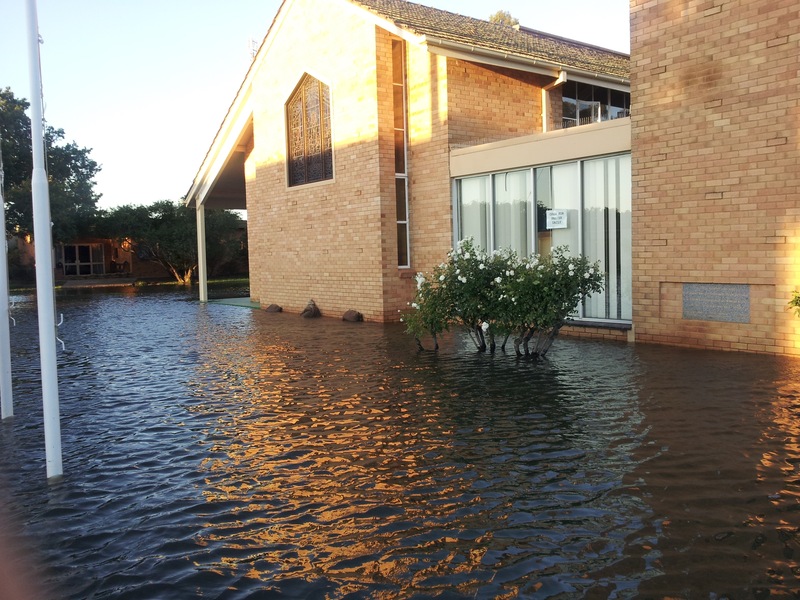 Over the next two days all parishioners were contacted and assistance provided as required, and visits were made to some of the elderly and frail. 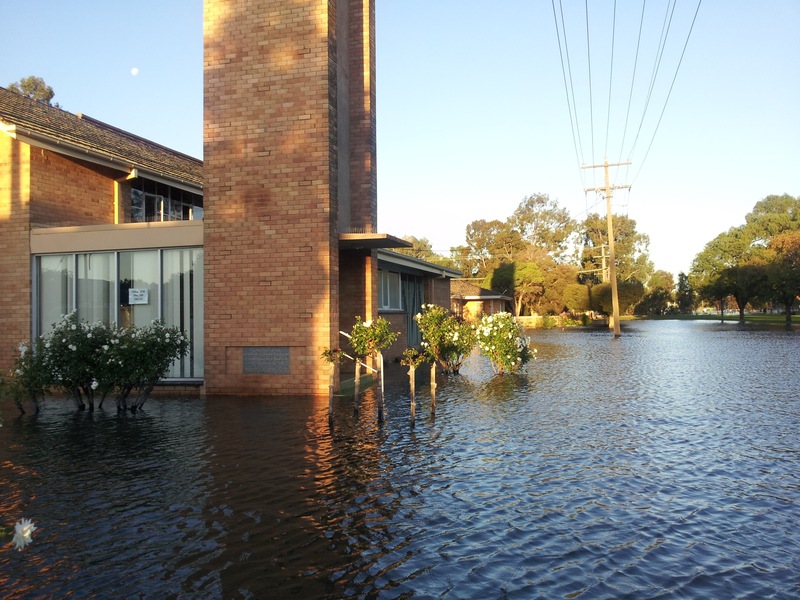 The waters continued to rise outstripping the 1974 levels and the Church and Rectory were under threat. 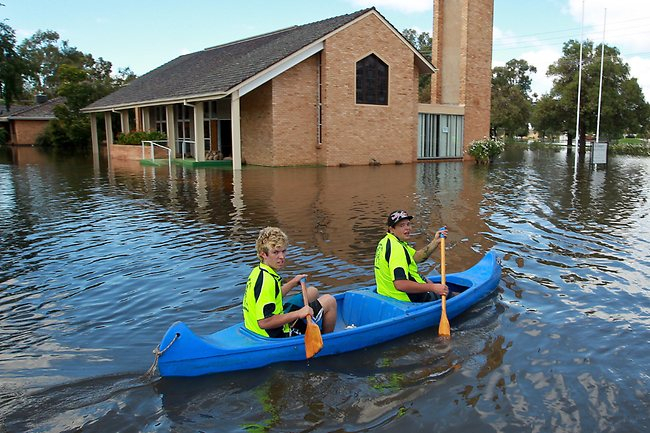 By the evening of Wednesday 7th March waters had begun to subside and thankfully there was no inundation of the Rectory or the Church. Levels continue to fall during Thursday 8th March as attention then focused on Nathalia and the threat of a 3.82 meter flood in that town. 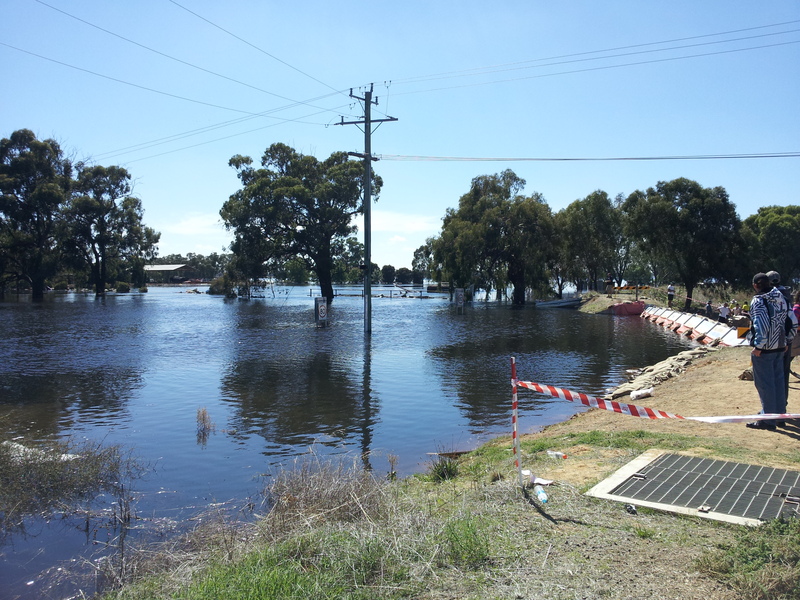 On Wednesday 7th March the Rector met up with Bishop John and Archdeacon John in Nathalia as preparations were being made to protect the town. 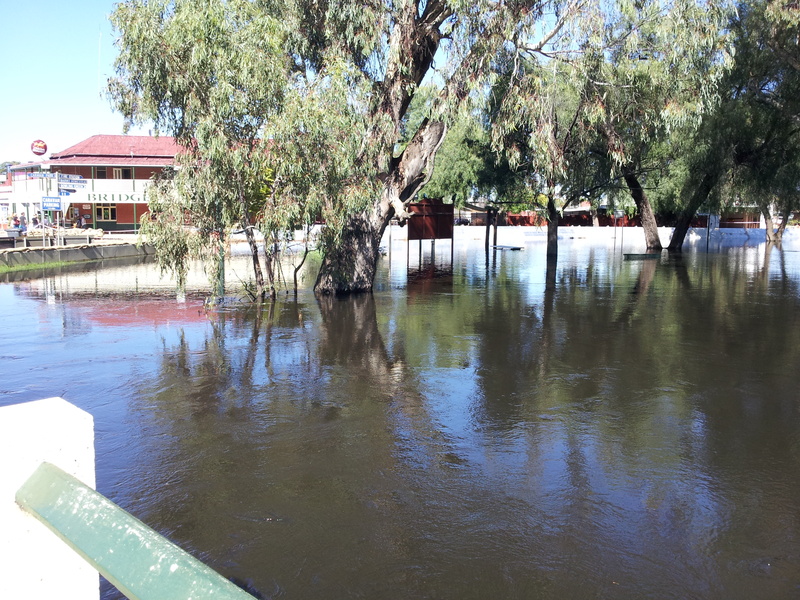 On Thursday 8th March the Bishop and Archdeacon were in Numurkah to render assistance with the Victorian Council of Church Emergency Chaplain program. 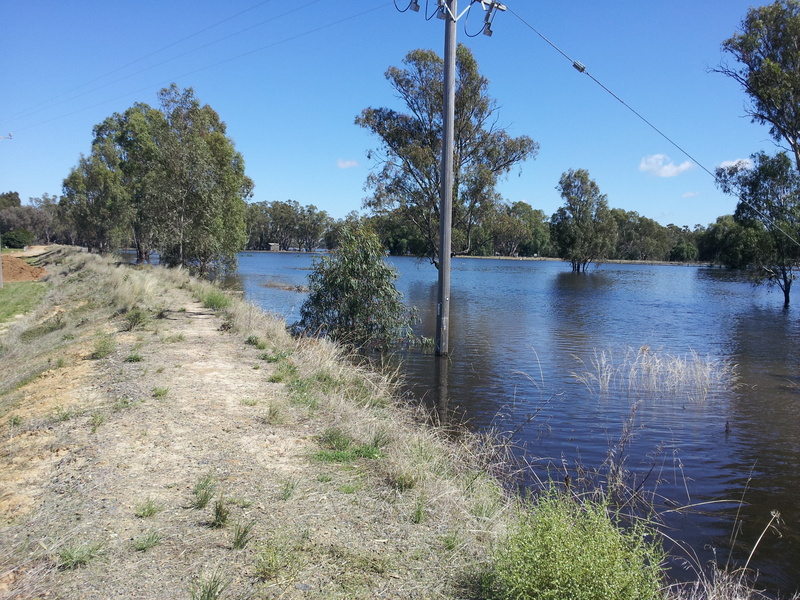 Barmah was spared inundation with only some local surface flooding.